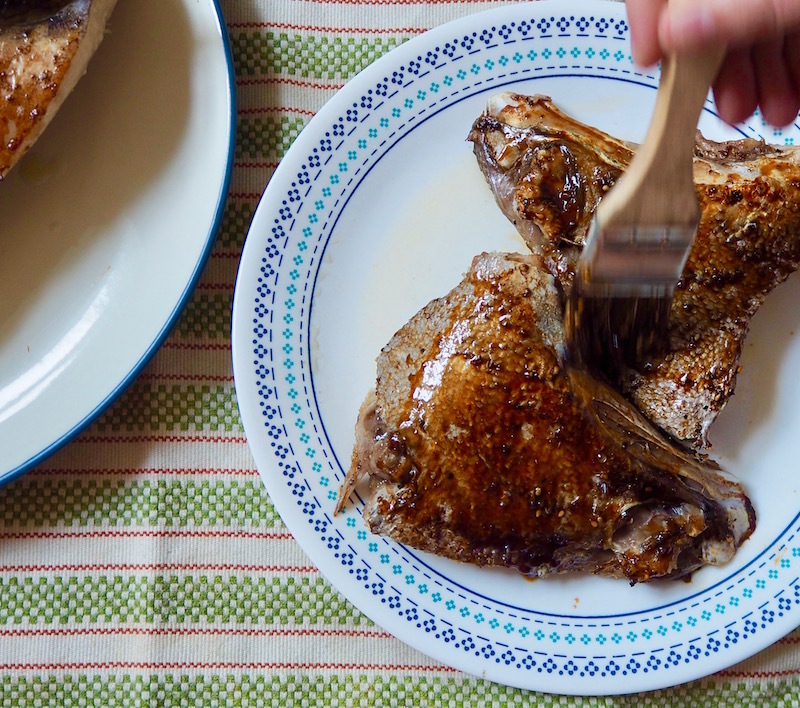 Fish collars are cut from the fish’s clavicle and are among the easiest cuts of fish to cook. The large bone and high fat content keeps them flavorful and juicy no matter how you cook them. As you eat them, think of collars as the chicken wings of the sea – don’t be afraid to use your hands and get a little messy. Depending on what fish collar you’re using, the size will vary. Swordfish collars are quite large and can serve 1-2 people. Cobia collars, for example, are smaller and are good for one person. Rinse fish collars under cold water. Pat dry with a paper towel. Place a rack in the upper middle section of your oven. Turn broiler to high. On a large baking sheet, rub collars with olive oil and sprinkle with salt and pepper. 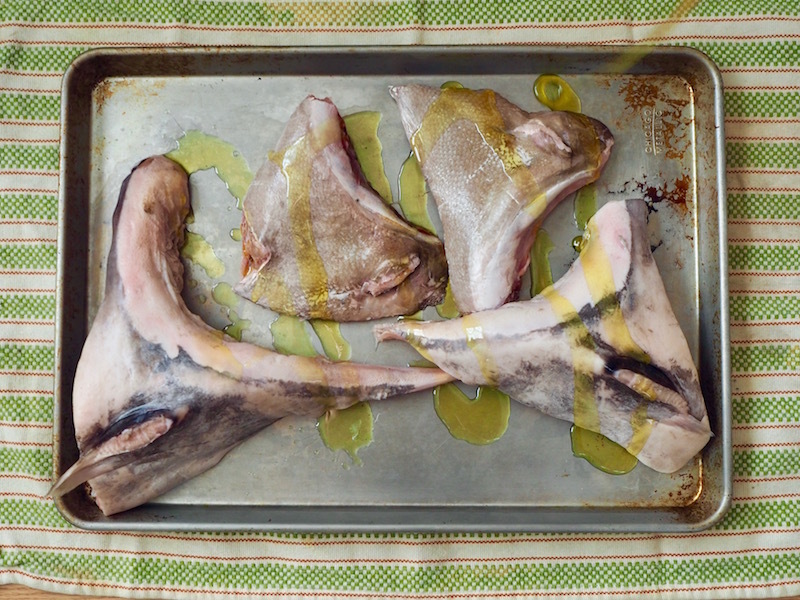 Place the collars skin side up under broiler and cook for 3-5 minutes (closer to 3 for smaller collars like cobia, closer to 6 for larger ones like swordfish). Remove pan from oven and flip. Return to oven and broil for 3-5 more minutes until there is no more visible pink. Flip again (to skin side up) and broil until skin is crispy. Remove from oven and brush with sauce. Cool until collars can be picked up with your fingers. Serve hot or at room temperature. Eat with your hands and use remaining sauce for dipping. Combine all ingredients in a small saucepan and simmer over medium heat until thick enough to coat the back of a spoon. Remove from heat and set aside until ready to serve.